At Heathrow, I saw a new book, Ian McEwan’s Sweet Tooth. I saw it again at Oxford Books in Kolkata, and it seemed to me that Oxford Books is a fairly good bookstore growing in what must be difficult soil for which I’m sure it pays astronomical rent. So I bought the book, for 550 rupees. He turned out to be a tender and considerate lover, despite his unfortunate, sharply angled public bone, which first time hurt like hell. And I knew I’d read that before. Had I managed to become my parents, who used to buy Agatha Christies that they thought were new and discover, 150 pages later, that they’d read them ten years ago? Nope. Turns out that passage was published in the New Yorker a couple of months back. I can’t check now because the WiFi at the Residencia isn’t quite up to actually wifi-ing. You can check, as John Cayley pointed out in his keynote this morning, by Googling, just as I did. Cayley advocates resistance; I'm sympathetic but, before we march to the barricade, I’d like to hear a plan. The front door here is the best door I’ve seen in years, and they lock it at 8PM every night. And so when you come home, you have to knock using this great loud Wizard of Oz knocker which wakes the entire neighborhood, and then a guard comes with a key about eight inches long and uses that key to unlock about twelve pounds of 17th century ironmongery and let you in. This is that very rare bird, a Readercon recommendation that became a best-seller. This terrific first novel seems to me to be, in essence, a response to the Punchdrunk production of Sleep No More: how magical would immersive theater be if you had access to real magic? 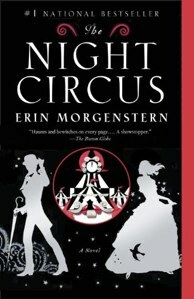 Readable yet adventurously written, the book has a complex timeline, a sub-thread in second person present, two sets of twins, and (of course) a wonderful traveling circus. Janet Murray enumerated the distinctive properties of the digital. This sounds good, and there are real insights here, but this list doesn’t capture the spirit of computing, at least not the way developers and designers experience computing now. Computing is procedural sometimes, and declarative sometimes, and at other times it’s neither. Forty years ago, it was mostly procedural. Lev Manovich told us of the database as a symbolic form. And that too, was insightful. But Manovich gets bogged down into the separation and interplay of procedure and data, a separation that was really interesting forty years ago. It’s true that a flashing book won’t give you much capacity for deep concentration. I haven’t seen many flashing books lately, but if you do see a book that flashes, it has probably been made to flash in order to disturb your concentration. The idea of linear concentration is alien to my experience, though, and is just as alien to Hari’s and to his editor. The three of us have all heard of the unconscious, for example, and while there’s plenty to ponder in Freud, no one after Freud has really believed his model of the mind was too complex. and finds in their refraction an intriguing picture of digital design. He imagines replacing millions of banal, mass-produced, identical objects about which no one ever cares with equally numerous objects, all different in some small ways. We both buy the same kind of laptop bag, but yours is a litttle different in size, shape, and color. Yours has a little bigger pocket. Mine has green velcro. The differences don’t have to be terribly consequential. The Arts & Crafts movement tried to do this in workshops, but doing this by hand makes things intolerably expensive. But we don’t have to rely on handwork. As all design moves to computers, we simply program degrees of variation into the system. Small pieces, loosely joined. Generative grammars. Constraints. Machine learning. Links among things. This is beginning to sound like my kind of computing! This is also beginning to sound like a serious hypertext, a story that would change every time you read it. This does not mean a story that is nonsense, or even a story that is fragmented or arty or difficult. It means, simple, a story that would change every time you read it. They all do, in any case; you can’t read the same story twice. You have changed, and reading the story has changed you. But the story itself can literally change, too. And, knowing that it will be different this time, we may experience this literary machine in a new and different way. 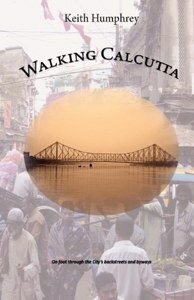 This indispensable, idiosyncratic book for the visitor to Calcutta/Kolkata leads you away from the familiar monuments of the colonial era and into the vibrant streets of this city. All Calcutta is astonishing, but my experience was that Humphrey is exactly right in thinking that visitors will be more at home (and will receive a more interesting and real impression of the city) in the vast swaths of the city where they are unexpected than in the handful of places where they are. On nearly every stroll near New Market, for example, I was at least occasionally engaged by aggressive beggars or by tourist touts. (Hello again, Shakil!) This didn’t happen anywhere else; at most, if I was studying my cell phone map, someone might ask me if they might help. And even on the day of a massive public demonstration against American disrespect for Islam, I felt nothing but welcome (and curiosity or puzzlement) when walking through either Moslem or Hindu quarters. Calcutta is made up of a complex tangle of streets and alleys, through which large automobile boulevards have been driven at infrequent intervals. Many streets have two names, a colonial name and a newer one; in some cases, the new name has stuck and in others, everyone uses the old name. The tangles and warrens themselves have occasionally been rationalized, so sometimes, a street will end in one place but will start again someplace else. Finally, an address may apply to an entire building complex or an entire block rather than to individual shops or houses. Nonetheless, the tangle is the place you generally want to be. Humphrey has a nice mix of interests in people, in history, and in occupation. He gives himself space to tell stories and to conduct quick interviews with letter-writers, astrologers, with squatters. Even with these interludes, this is a real guide to be carried in the hand as you travel, not merely to be read in your armchair. The book is readable, even for walks you don’t actually take. I didn’t get to Tagore Castle, for example. It’s an early 19th century palace that is now a slum tenement, and I scared away by reports of endemic dengue. But it’s just one of bunches of odd sidelights Humphrey describes that the usual guides ignore. Two prerequisites of flânerie, however, are knowing what you are seeing and feeling at least a little bit at home. (For a pale six-footer, to remain hidden here is improbable.) That there should be a lot that I didn’t understand is unsurprising; after all, here I’m illiterate and unversed. I don’t know where to be and where to look, and some introductory material might have been helpful. I repeatedly saw couples on the street or in restaurants, for example, who were engaged in intense discussion, and was never able to tell whether the couple was breaking up or comparing the merits of different economic theories. Perhaps they were planning what to have for dinner. I don’t understand the significance of distinct clothing styles that must be meant to broadcast their significance. And I don’t know how to avoid an intrusion that veers from odd (“why on earth is a tourist here?”) to intrusive (“how am I supposed to work with that idiot blocking my light and scaring away the customers?”) or offensive (“how dare he looking at my daughter?!”). For example: when hot and tired, I sometimes stand with my hands on my hips. Don’t do this on a Kolkata street: it makes you take up too much space. People will keep bumping into you. Kolkata is crowded, and Kolkatans stand compactly. Conversely, in a city plagued by brutal economic inequality, one where political and ethnic feeling runs high and has in the past spilled into terrible violence, street crime does not appear to be much of a problem. One problem with this edition is that the maps are not quite adequate. Unable to have original maps drafted, Humphrey has licensed some existing street maps that cover the areas for each walk, but this often requires three or four overlapping maps, printed with different scales and different orientations, to cover a single walk. The proposed routes are not marked on the maps, but things the traveler doesn’t care about, such as ward boundaries, are prominent. It would have been far better to simply add a route line, if only with a ball-point pen, than to leave the audience to puzzle things out on a crowded corner, dodging rickshaws, appeasing dogs, and getting in everybody’s way. Still, I was able to follow the itineraries at most points, and the occasional detour causes no lasting harm. One of the hazards of attending a conference on “Digital Humanities in India” is that, inevitably, people like me, ignorant of the arts in India, will sometimes get lost. Nonetheless, I had a ball. A big challenge for me was not so much the complexities of Bengali or of the Indian Geographic Survey as the familiar puzzle of critical theory. The students at Presidency are very sharp, and they can problematize your premises and explore their feminist and post-colonial implications at the drop of a hat. One paper I especially enjoyed, despite knowing nothing about its subject, was Abhijit Gupta’s survey of the typographic issues in doing OCR on early Bengali books, which have (it seems) many obsolete letterforms and numerous uncataloged ligatures. Nobody has the fonts or the sample books any more, though it seems there are rumors of some punches in a private collection. Oyndrila Sarkar told some nice stories about ‘e-Stories of Mapping’ and the difficulties of working with archival maps. Simi Malhotra’s talk about digital humanities and the impending singularity was brave, and it had me scribbling objections (Stross? Ian M. Banks?) is the margins of my notes, which after all is what talks are supposed to do. And Debaditya Bhattacharya contributed that very rare bird, the successful contrarian denouncement of the discipline itself. I see some holes, I think, and I’m pretty sure I disagree with the conclusion, but this could be a formidable line of argument. The chicken/egg roll makes a terrific meal at Hot Kati Roll on Park Street. A delicious paratha wrap cooked before your eyes, with and egg fried right into it. Add tasty spiced chicken and some condiments, and it’s great. Really, really delicious. Hot Kati Roll is a shed attached to the outer wall of the Asiatic Society, founded in 1784. So it’s also got a historic setting. 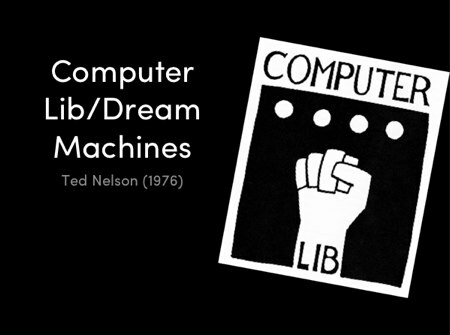 When I started to build hypertext systems, most people thought Ted Nelson’s vision of what we know as the Web to be a silly pipe-dream, a phantom of the sixties. That dream turned real, and its reality has transformed the humanities. But of course we now know to be wary (and weary) of master narratives and to be bashful about “naive American technodeterminism” when we attribute such wide-reaching influence to the simple everyday technology of the link. So, though I’ve been living through, and playing a small part, in these tumults, perhaps this account is a fable, fabula, invention, perversion. It’s hard to be sure. If we know anything in these days After Theory , it’s that it’s always hard to be sure. But there is one thing we do know: there is work to be done. And those dishes won’t clean themselves. Emerson said, “We will walk on our own feet; We will work with our own hands.” Our hands may get dirty. I once heard a poet who was interested in new media ask, “Do I have to become a programmer?” This was, mind you, a woman who had been willing to incur discomfort and injury in the course of her work, which was getting her poems right even if here wrists hurt like hell. She was a teacher who would not hesitate to insist that one learn medieval Italian because any poet needs Dante. Yet, the thought of programming seemed entirely too much. The two cultures problem – the chasm that divides the humanities from the sciences – did not begin in 1945, but 1945 made reconciliation all but impossible. Most people think the fault lies with the scientists; it always does. And so a few years studying Italian is mere necessity, but a few days learning a symbolic vocabulary that borrows a few symbols from mathematics, that is asking far too much. Should digital humanists create tools, or merely learn to use them? This question ought to require no debate: the humanist must do what the problem requires. Ruskin was not Turner. But if Ruskin had never attempted watercolor, could he have explained Turner half so well? If the critic is too far removed from the concerns of the creator – if she really has no idea how paint acts or how characters misbehave – criticism can quickly disappear down a rabbit hole of theoretical pretense, untethered to real work, unconnected to any sense of truth, and cut off from sympathy with the creator and her work. And then there’s the simple understanding that the tools are themselves made, not decreed by God or inflicted by malificent capitalism. It is terribly important that we not delude ourselves into thinking that the craft of programming is beneath us, that we should confine ourselves to seemingly intellectual tasks. 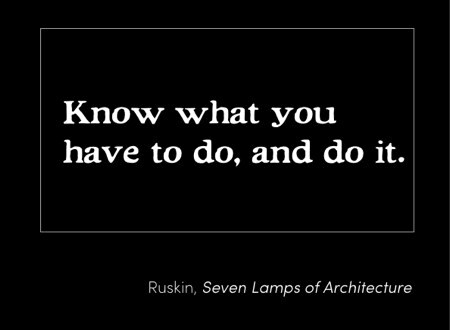 The architect and the builder, the sculptor, the painter, all need to work together. And, to whatever extent possible, they should be the same person. 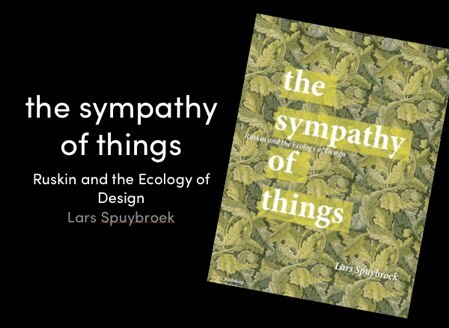 Sympathy for the scholar, to be sure, requires that we temper our expectations. Too much of what we think we prize in software today concerns polish, mere surface issues. If a program hangs or crashes, or a button is a few pixels out of place, people speak of it as worthless junk. We cannot expect this sort of polish from humanists, and perhaps we should not expect it from anyone. We understand this, or at least we understood it once. We accept brushmarks because, without them, we cannot have spontaneity. Yet, perplexingly, we demand nothing but polish from our digital artifacts. Speaking of mad dogs, the persistent heat of Kolkata doesn’t knock you over the way the blast furnace of Southern Florida or summer Italy can, but it’s unrelenting. I took a relaxed morning stroll this morning, staying in the shade and toting a liter of water with me. Within an hour, my dockers and oxford cloth shirt were sopping and sweat was streaming down my face and running into my eyes. It doesn't improve much when the sun goes down, and things get more complicated still because it can be hard to find even places that you can’t miss. Addresses are often notional; 42 Universe Lane might be on a side street that runs off Universe Lane. Google maps turn works well in Kolkata, but that doesn't help when, as last night, the ubiquitous 3G service decides that nobody shall have internet. I guess the phone company’s ISP was down. 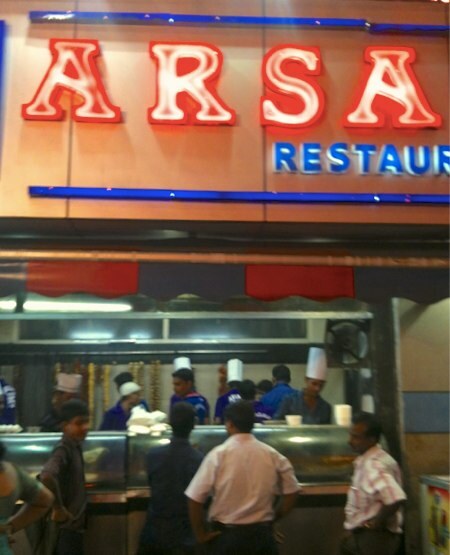 So I walked a mile to Arsalan, and then another mile or so because Google showed the restaurant to be just a little way North of the main street, and that led to a busy set of back ways which were fascinating and complicated but which did not advance the cause of finding dinner. The crowded sidestreets, filled with people and stalls and sidewalk restaurants, reads like a street fair, a festive special event and not just another night at home. A nice fellow saw me and asked to help, and told me "Right! Just down this block, turn right!" After that, it only took me fifteen minutes to find it. Arsalan was another Chakraborty suggestion. It’s interesting, too, because tandoors are famously hot, and so I’d expected a densely caramelized chicken. The cheese crust reinforced that: the usual point of crusts is to keep the meat from being overcooked. But these kebabs were very gently browned; if I were trying to replicate them, I think I might smoke them for a couple of minutes and finish in a very moderate oven. I think the point of the cheese here is to add richness and depth; this is party food. At the table next to me was a nice middle-aged guy in a polo shirt, and three girls, maybe 8-12, all of whom were made up to the nines and dressed to kill. The butter naan I had with the chicken was wonderful. I tried to ask for advice about which bread to order, but again that wasn’t in the cards; I could have any of several naans, various rotis, plenty of parathas, but I had no idea what made sense. To be honest, I could make a meal from these wonderful breads alone; would the restaurants hate me? In the US, I think we see Indian cuisines as balancing the heat of peppers with the bite of savory spices. My meals here — starting with a remarkably tasty vegetable curry on the Jet Airways flight — suggest that cooks are even more deeply interested in sweet. But where Mexican balances sweetness with acid (citrus in ceviche, tomatoes in picadillo), I sense that the cook in India reaches for bitterness instead. Is that right? I should’ve asked the cook I met yesterday. Linda sends a good illustration of the wealth of books: in our own time, we’ve experienced exactly this transition in film. For the young Pauline Kael’s generation, an avid filmgoer’s world was whatever was showing in town. You’d see one or two double=features every week, and everyone who liked movies saw and talked about the same ones that week. The Paulettes – Roger Ebert, say – inhabited a world where a really devoted critic could still see just about everything there was to see. But this wasn’t something you would, or could, do casually; you had to work at it all the time. And a serious film viewer – even a professional critic – needed to watch for opportunities: you’d think to yourself that “I really want to look at Battleship Potemkin in light of this new idea,” and then you’d need to look out for an opportunity. True enthusiasts would even buy films; Peter van de Kamp, a Swarthmore astronomer when I was an undergraduate, has a precious private collection of Chaplin. The video generation, and even more the Netflix generation, inhabit a completely different world. If you need to review a scene from Potemkin, you can probably stream it or order a DVD. 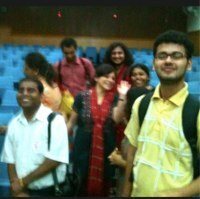 At the Presidency University conference, Sue Thomas spoke of new media literacies. If you’d like to be well-read in film, Netflix and Amazon have wonderful libraries. But there’s a lot of reading you need to do. Just to cover the essentials, the very greatest movies, is a lot of work: Ebert has three volumes of Great Movies so far, and more are coming. That’s three or four years of watching a Great Movie Of The Week. Movies don’t take very long to watch, but they need to be thought about; just covering the essentials is bound to be tough. And now we have serious serial forms, like Buffy and Babylon 5. Each runs to more than a hundred hours. Imagine teaching Buffy in a course on the coming-of-age story in the 20th century: it’s essential reading, it would fit nicely with Portrait and Mockingbird, Catcher and Portnoy, Nick Adams and Prep. But where are your students going to find a hundred hours in a 14-week semester in which they have three other courses? 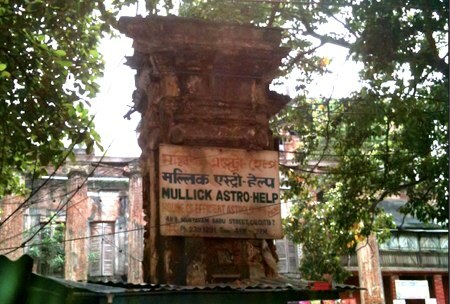 A sign seen near Kolkata’s “Marble Palace” advertises efficient astrology. A little behind the sign, notice the columns from a facade of a ruined but grand building. Sure looks a lot like the Portico Octavia in Rome’s ghetto! Probably not what the architect had in mind, though. Saptarshi Chakraborty, a Kolkota food blogger, has been extraordinarily generous with advice. 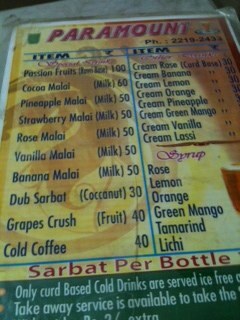 One of Saptarshi’s top recommendations was Daab Sherbet at Paramount. It’s a cool drink with coconut milk, muddled coconut pulp, and some other flavors. It’s really good. And much needed, because it’s really hot. One worrisome thing is that Daab Sherbert cannot be served without ice, and one is told to be very leary of ice. Then again, a local food writer assured me it’ll be ok, and without that assurance I’d have missed this tasty drink (which would probably also be useful as a cocktail). Fingers crossed. Walking back from dinner, I found myself chatting on the street with a guy who is a sous chef at the Oberoi Grand. Or at least that’s what he said, and he talks a good game. He’s got a program where he teaches street kids about cooking, which sounds to me like a hell of a good idea. Of course, he hit me up for a donation when we parted — OK, ask for the sale. And then he tried pretty hard to upsell me. Thing is, I'd told him about this blog, and I’d told him about another food writing project I’m toying with, and I told him about the neat Kolkata foodies who’ve been so generous with their advice. Now, he may have thought I was putting on the ritz, and the rupee in the hand is worth more than empty promises. And of course he might have been putting on the ritz, too. I was tempted to ask him something simple from the classical repertoire for a test, like “what’s bechamel?” Something every line cook is a fancy joint would know. But that seemed impolite. So I gave him my email address and told him, “Send me something about your program, and I’ll check it out and write about it.” On the off chance he visits, this is a stake in the ground. The uniformed waiters were passing the third course at the elegant post-conference banquet. I was chatting with the vice-chancellor, who has just published a book ( Cosmos and Character in Paradise Lost ) about Milton and the history of science. I glanced down as I helped myself to some curried chicken. There was a bit of tag stuck on the cuff of my new linen jacket. It’s sometimes thought that computers are merely tools, like automobiles or ovens: useful for getting work done cheaply, but fundamentally uninteresting or chiefly engaged with manipulating lots of numbers. Or, worse, people think such tools are inherently menial, used of necessity by businesspeople and service workers but ill-suited to the scholar’s hand. This is no more true of the tools of computing than it is of the tools of history, of painting, of chemistry, of verse. Das Endziel aller bildnerischen Tätigkeit ist der Bau! 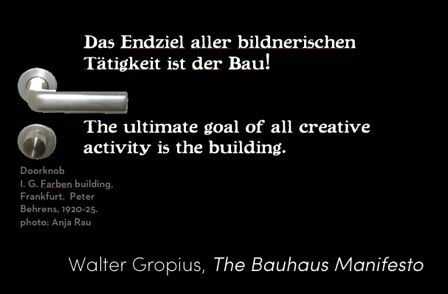 The ultimate goal of all creative activity is the building, and the work of the bricklayer is no less a part of that than the work of the cabinet-maker, the sculptor, the engineer. Nicolai Troshinsky just twittered to me that, “I know a lot of artists and coders and I assure you, they are different kind of people.” But which kind am I? I suppose poets and painters are different kinds of people, on the whole, but which was Rossetti? Which kind was Rabindrath Tagore? Novelists and bureaucrats are different kinds of people; which was Trollope? If you think that programmers and artists are different kinds of people, you will eventually start to think that one kind is better. And, if you start to think that they’re different kinds of people, you will excuse your own failings because you’re not that kind of person. And, when your work is not what it ought to be, you can blame the other guy. Today, computing may reasonably take its place among the arts and sciences. Or, if not, we may invite it to drop in after dinner. From the invention of computers, humanists have been using computers to do their work. Digital Humanities seem new, but already their influence on the intellectual landscape is profound. In the talk, I show a “victory lap” of landmarks in the digital humanities, from Father Busa to Perseus and TEI and The Victorian Web. But I start in an unexpected place: a charming fantasy novel that won this year’s Hugo and Nebula Awards. It’s the story of a little Welsh girl. Her twin sister recently died in a terrible accident, she herself has been crippled, her mother is institutionalized. She is being sent off to boarding school. She already knows magic, but she finds solace in books. She reads all the science fiction in the school library. She scours the town shops. She cannot get nearly enough; her quest — familiar to many of us — is simply to find the books she wants to read. This literary famine was long the natural condition of those who love books. And though it may not yet be over, digital delivery clearly shows us a path toward the end of this long drought. We do not think of this as a triumph of digital humanities, but of course that’s precisely what it is. I sit here in Kolkata, I push a button, and someone’s spare copy of Moretti’s Atlas Of The European Novel will be sent to my office. A very nice dinner last night at Teej, a Rajahstani restaurant in Russell Street (which, like many streets in Kolkata, is no longer called Russell Street, but is apparently known as Russell Street). A thali with lots of tasty dahl. I once asked a waiter in Stockholm which wine I ought to have with my tournedos. He replied sensibly that I should have whichever wine I thought would be pleasing, and he was not wrong. But he was not right, either, because these were clarets and burgundies I had never seen before; how was I to know? This has been a particular problem for me here in Kolkata because I don't really know how to eat — how to order a satisfying dish, how many dishes make a meal, or even what decent table manners are. There’s a lot to be said for a restaurant where you just walk in and they give you dinner. Sure, Kolkota is going to require some choice, because there are so many kinds of kashrut. Still, that could be managed with a word or two. I think the thunder in Kolkata last night was the loudest I’ve heard. That’s amazing, because I don’t hear very well anymore, and I think the lightning was at least a mile away. The humanities are always troubled. Right now, they have trouble in spades. 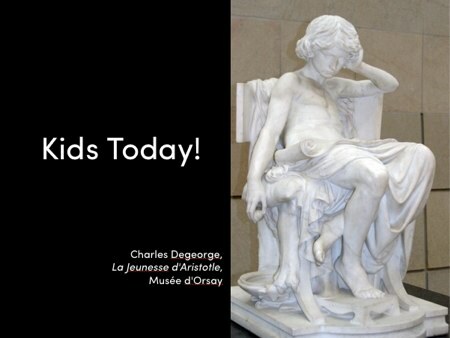 We all know that kids today don’t work hard. They don’t know much. They spend too much time lying around, listening to music, reading trash, hooking up. It was always that way. 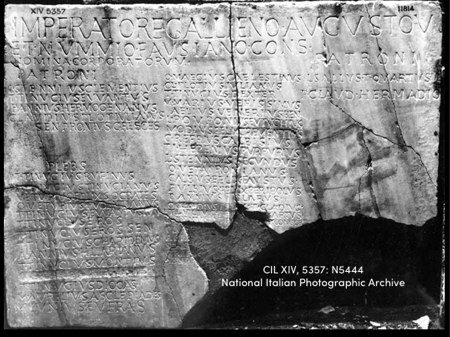 Augustus complained about the sensuality of new immersive media and shut down Ovid’s Web site. There’s far too much information for anyone to keep up with. There’s more, every year. There’s too much to read. But it’s always been like that. Not literally, of course: Franco Moretti did a terrific job of reminding us how discussion of books changes when there’s always something new at the bookstore. 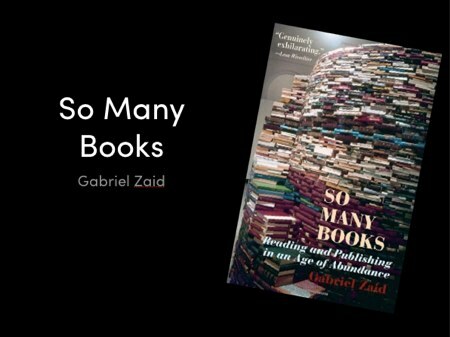 But it’s been that way for a very long time; Ann Blair’s wonderful Too Much To Know explores the tremendous self-help literature that helped ancient, medieval, and early modern scholars cope with information overload. The digital humanities span disciplines. Disciplines and departments can seem like artificial administrative boundaries. They sometimes are. But we forget that even within the humanities, disciplines insist on distinct standards of evidence and argument. In Dark Age Ahead, Jane Jacobs drew an important distinction between the role of the university as an educator, and its role in administering credentials or licenses. 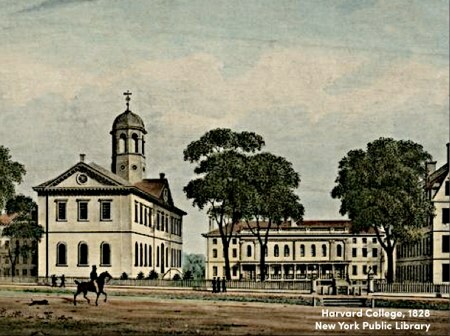 The humanities were long notorious for their role supporting artificial constraints on the unprivileged. Schoolboy Latin and Greek no longer hold the keys to office and influence, but the scholar’s complicity on that charade has not been forgotten. The rise of the for-profit university underscores resurgent credentialism. Differences in standards of argumentation and evidence have all sorts of concrete and social impacts that org charts and cross-listings don’t change. I’m program chair for Web Science 2013 (May 2-4, Paris), a conference that bridges computer science and social sciences (and that might like to invite art and design to drop by after dinner), and disciplinary differences cause endless trouble. Computer scientists submit finished papers t conferences; that’s how things work. Social scientists don’t; they submit an abstract, and they’ll write the paper if it’s accepted. Accepting a paper that hasn’t been written yet makes computer scientists unhappy; it seems risky and perhaps a bit shady. 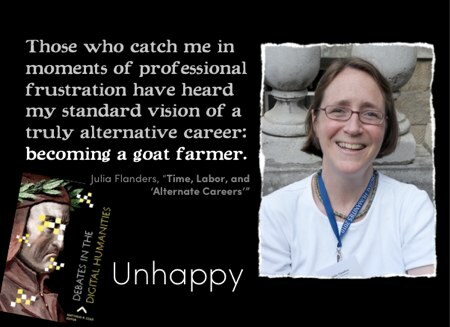 Writing a paper that might be rejected makes social scientists unhappy. Rejecting a paper at all makes some professors of English unhappy, since social construction of knowledge means that you’re not really rejecting the paper, you’re rejecting them. Putting together a program that’s open to lots of disciplines is a very real headache. Non-academic conferences like TED or SXSW can bridge disciplines by simply deciding who they want to hear. This approach is underrated in academe. But it, too, is flawed, because it so often leads to a continuing round of familiar celebrity speakers. In the worst extreme, the business motivational keynote, you get speakers who are famous for being famous. 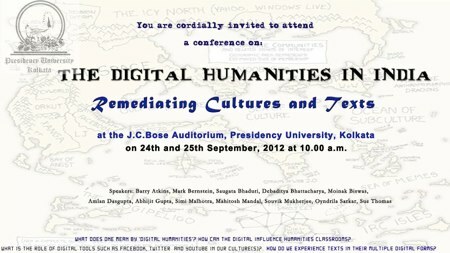 I’m speaking this week at Presidency University in Kolkata, about NeoVictorian computing and the digital humanities. We’ve made lots of progress in the digital humanities in the last thirty years; already, we can see the time when they’ll just be the humanities. The important discoveries may come from a direction most people don’t expect. “We will walk on our own feet; we will work with our own hands; we will speak our own minds. 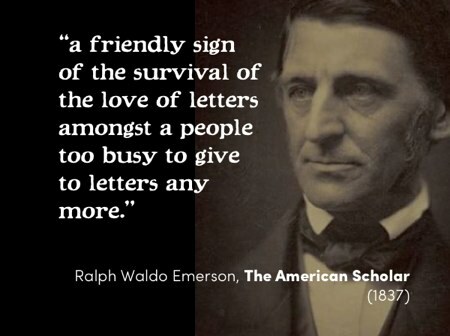 The study of letters shall be no longer a name for pity, for doubt, and for sensual indulgence. Pity and doubt have certainly returned to the humanities, and it seems they’re seldom farther away from the heart of Digital Humanities than the shadow cast by a rejected application. This call for self-reliance echoes the best of humanities and, at the same time, indicts the common frailties of #elit. Too often, elit has reacher for tools off the shelf and chosen to say what wass easily said with those tools. Too often, elit has been so worried that those young folks in libraries might find it inconvenient to read the work that elit has lost confidence in making the work at all. I’m off to Kolkata for a conference. Posting may be spotty while in transit, but I’m hoping for lots of interest posts! A coptic papyrus apparently contains a reference by Jesus to his wife. David Frum looks at the rage of the rich that fueled the Romney campaign. The background to so much of the politics of the past four years is the mood of apocalyptic terror that has gripped so much of the American upper class. Hucksters of all kinds have battened on this terror. They tell them that free enterprise is under attack; that Obama is a socialist, a Marxist, a fascist, an anti-colonialist. Only by donating to my think tank, buying my book, watching my network, going to my movie, can you - can we - stop him before he seizes everything to give to his base of "bums." . Now that he’s been read out of meeting by the Movement, Frum can really write. So can fellow exile Andrew Sullivan. He did not say: "I'll never convince them they should vote for me." He accused 47 percent of Americans of choosing not to "take personal responsibility and care for their lives." He's describing half the country as parasites, bleeding the productive half dry. Half the country. He includes me, an Obama supporter, who pays three times the tax on my income that Romney does, who immigrated at 21, whose parents never went to college, and whose blog now employs five people. Perhaps happy days really are just around the bend. Don’t miss chalkboard artist Catherine Owens’s time-lapse video, either. The scholar is decent, indolent, complaisant. See already the tragic consequence. The mind of this country, taught to aim at low objects, eats upon itself. There is no work for any but the decorous and the complaisant. Young men of the fairest promise, who begin life upon our shores, inflated by the mountain winds, shined upon by all the stars of God, find the earth below not in unison with these, — but are hindered from action by the disgust which the principles on which business is managed inspire, and turn drudges, or die of disgust, — some of them suicides. What is the remedy? They did not yet see, and thousands of young men as hopeful now crowding to the barriers for the career, do not yet see, that, if the single man plant himself indomitably on his instincts, and there abide, the huge world will come round to him. 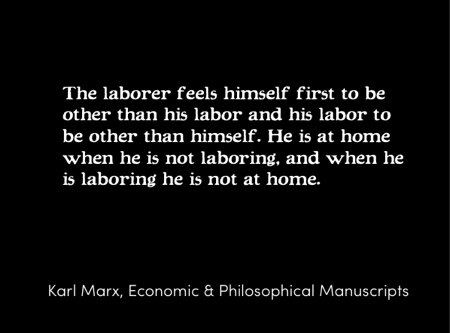 The worker therefore only feels himself outside his work, and in his work feels outside himself. He feels at home when he is not working, and when he is working he does not feel at home. His labor is therefore not voluntary, but coerced. 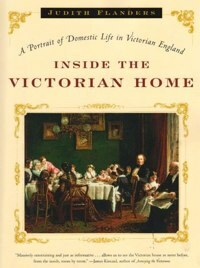 This thoroughly delightful study of the Victorian Home is interested neither in architecture or decoration, but rather in what people said and did in each kind of room. Flanders has an nice feel for the misunderstandings that so easily arise across space and time, such as the fact that morning calls were paid in the afternoon, and that “high tea” is not, as Americans tend to think, fancier than plain old “tea.” She deftly mines diaries, advertisements, fiction and biography to reconstruct details of behavior and belief in a book that is at once entertaining and comprehensive. Clinton reminds us of the value (and rarity) of this tone in politics -- and the next time you listen to a sports-talk channel, think how much better our political discussion would be if participants assumed as much sophistication about argument as ESPN and radio-talk hosts do. Meanwhile, Red Sox manager Bobby Valentine has completely lost his temper with the media, his team, and just about everybody. His former closer, Alfredo Aceves, has obviously been at loggerheads with his boss, including a 3-day suspension for slamming the office door, but you could make an argument that his manager is now trying to get him hurt. Valentine, contractually obligated to do a weekly radio interview yesterday, went ballistic when asked if he had “checked out.” Worst of all, it sounds like he later made fun of an aged and beloved reporter in the pre-game press meeting, a press-conference fixture whom everyone loves and who now suffers from a speech impediment. One of Linda’s historian-colleagues runs a restaurant. One of my hypertext colleagues was coming to visit, and (for a change) I couldn’t manage to cook. So we went down to the North End to Dino’s, and it was great. This is a tiny place: six or eight tables, a takeout counter, a blackboard, in a space that must have been built as a corner grocery. The special was lobster Fra Diavolo, and it was absolutely terrific: a nice whole lobster, plenty of good shellfish, and a lovely, spicy, piquant sauce. Good bread, too. A lot of North End eating is tourist-driven, so it takes character to maintain quality. I’m impressed. 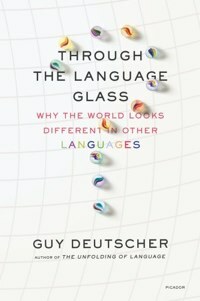 An intriguing look at the philosophy of language generally, and specifically at whether and how language shapes thought. Deutscher has no patience for the Sapir-Whorf hypothesis generally, and specifically explodes the supposition that people whose language has no word for a concept cannot easily think about it. It’s at once a lively and a careful book, though Deutscher telegraphs his conclusions in a way that saps some of its energy. The history and historiography of the “wine-dark sea” question – the observation, originally made by Gladstone, that Homer uses words for colors that make no sense, like the “wine” for the turquoise Mediterranean and “green” for sheep – is treated with special care and prudence, and reaches a very satisfying resolution. Bernstein, Mark. “Ten Tips on Writing The Living Web.” A List Apart: For People Who Make Websites. A List Apart Mag., 16 Aug. 2002. Web 4 May 2009. Brent Simmons: What To Do When Someone Curses at Your Product. Don’t try to be funny. Humor and personality are great most of the time — but when someone is angry, they’ll take it as flip or condescending. 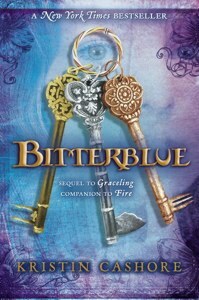 Highly praised at Readercon’s The Year In Novels, this is the strangely improbable fantasy of young queen Bitterblue whose court is filled with ministers who behave very oddly. Everyone, she observes, is a crackpot. Her subjects commit absurd crimes, like swapping a field of watermelons for a a cemetery full of headstones. Her ministers conduct absurd policies. Nothing makes sense, but then Bitterblue has never known anything else. It’s difficult to know just what to think of this novel. I suspect that Cashore may be trying to remediate Dada here; instead of starting with two old men in the park and ending with Waiting For Godot, we start with Godot and drag the absurd back into the fields we know. There’s an undeveloped subplot about an underground network of storytellers that suggests some theoretical sophistication. If that’s the agenda, it turns out to be tricky because almost none of the characters is much more than an idiosyncrasy, an affectation, or a power. 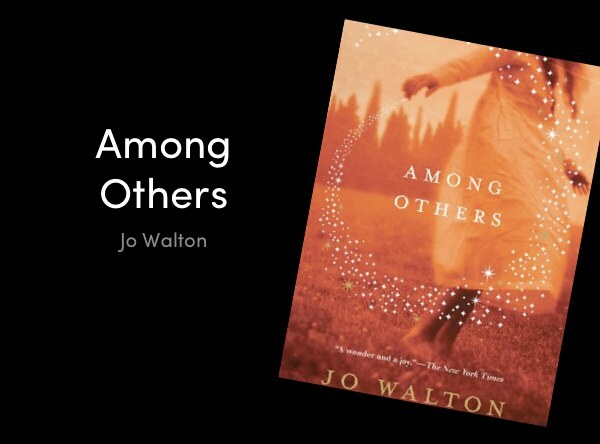 An alternative interpretation starts from the chronic lie of contemporary YA fiction: almost all female characters (Pullman’s Lyra being the exception) are far younger than they claim. Queen Bitterblue says she is in her late teens, and her ministers are much older, but if this were their fantasy — if we were to understand all of this to be a fantasy of six- and eight-year-olds imagining being grown up, having boyfriends and planning revolutions, that might make sense. Sweet Italian sausage, grilled, dipped in mango chutney and rolled in nuts and cilantro.